Awada Vision Social Media - Follow our pages on Instagram & Facebook! Awada Vision is on Facebook and Instagram! 18 Apr Awada Vision is on Facebook and Instagram! It goes without saying that social media has become part of our daily life. 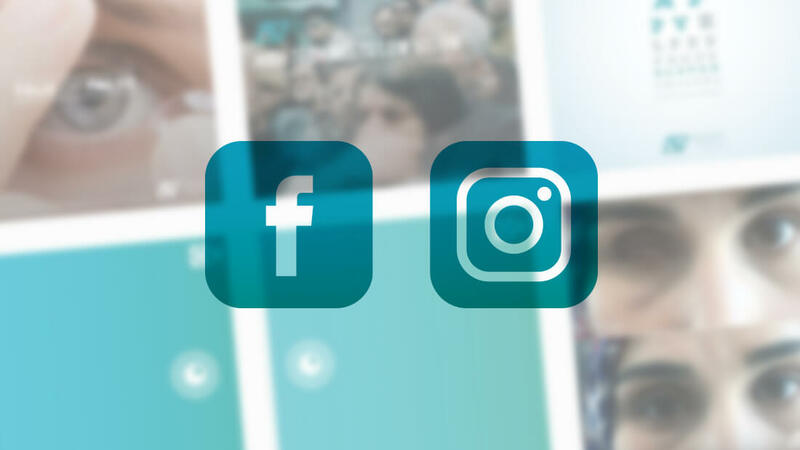 Thus, you can now track Awada Vision news and announcements on Facebook and Instagram. The social media pages of Awada Vision were not created for simple purposes. The primary objectives are not just to showcase the products or the skills that Awada Vision has. However, they were mainly created to raise awareness among the society about low vision and ocular prosthesis. We strive to create hope, that in some cases even people considered as “blind” can have the chance to see again! Of course, this does not apply to all the conditions! But wouldn’t you want to know if you had a chance to regain your life back? The chance to perform your daily tasks again? Or if you had the opportunity to restore your appearance after an accident or injury. We can help you with that.